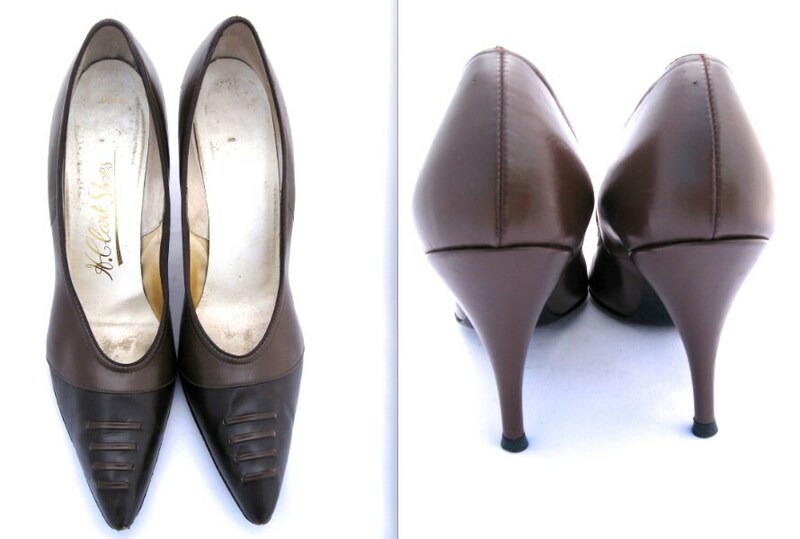 Gorgeous two toned chocolate brown leather pumps are in very good vintage condition. These beauties are circa 1950s. 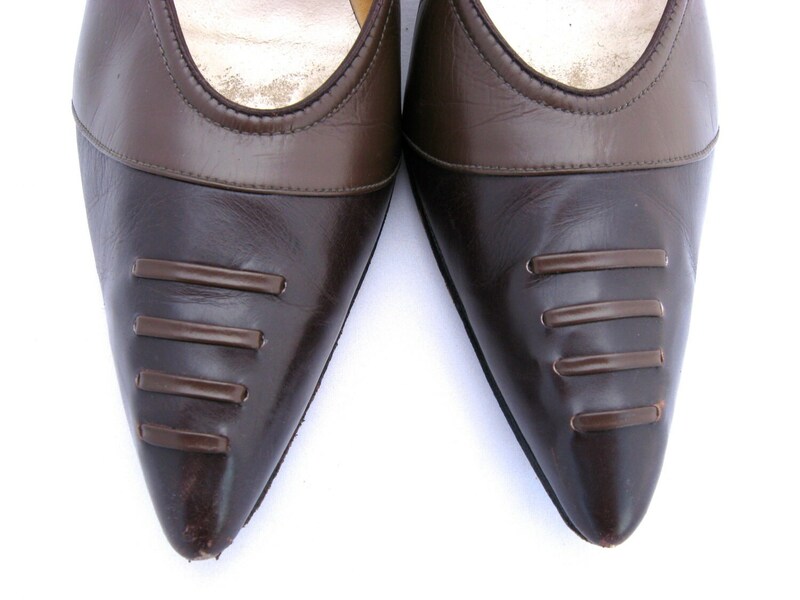 The leather is in fine condition with both heel tips still intact. There is very little wear to these pumps other than the soles as pictured here. 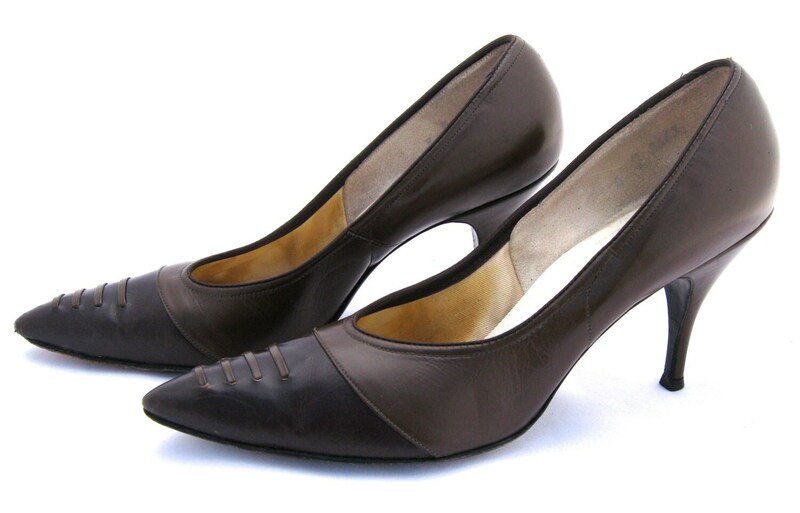 Pumps have pointy toes with a dark chocolate brown leather. 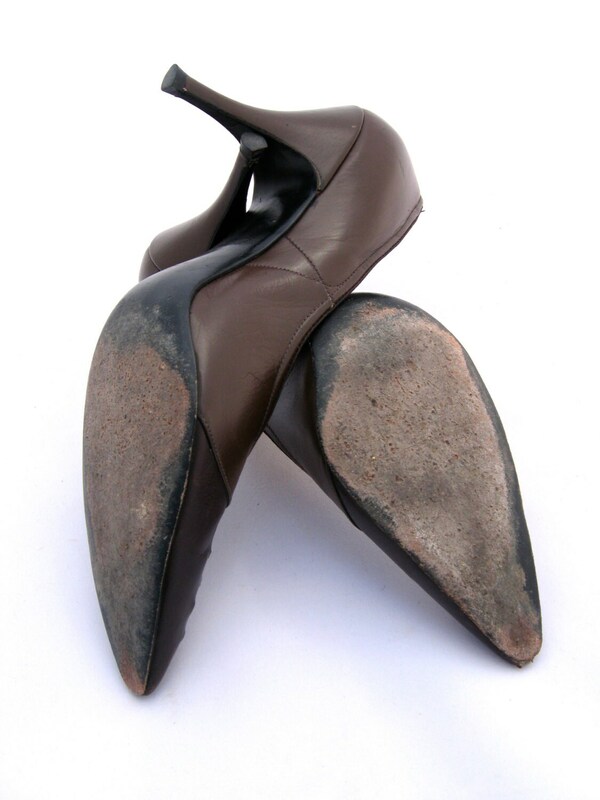 Insole reads "H. Clark Shoes". 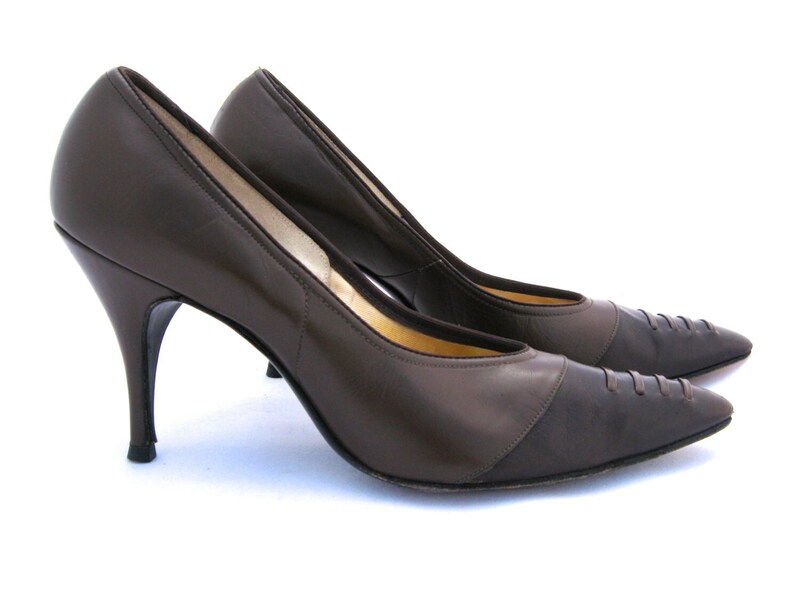 Leather uppers and leather soles define the high quality craftsmanship of these shoes. Please compare these measurements to some of your own footwear to assure a proper fit. I do ship worldwide. Please contact me for rates.